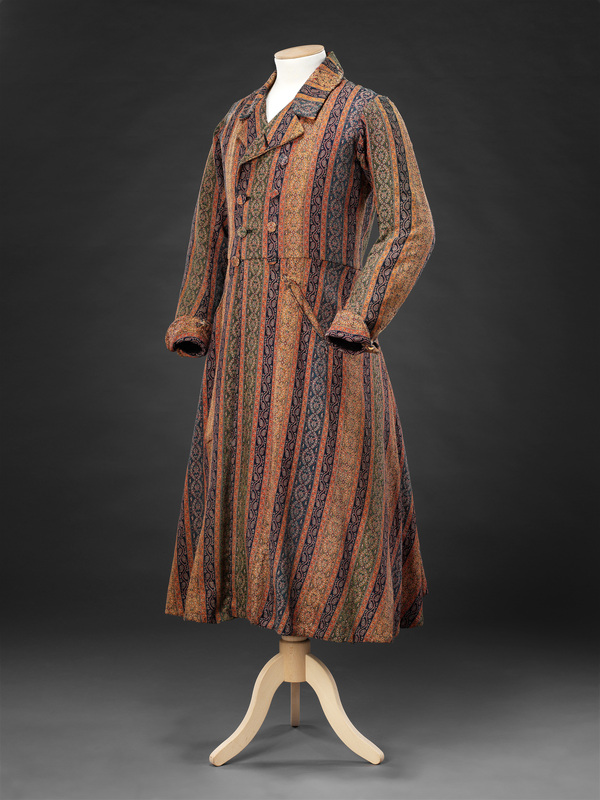 Men’s dressing gowns had a long history of being worn informally at home during the morning or evening over the waistcoat, shirt and breeches or trousers in place of the coat. They were generally worn with a cap or similar head covering, and fell into two main categories, a loose unshaped garment or, as here, one that related more closely to the cut of current forms of outerwear. 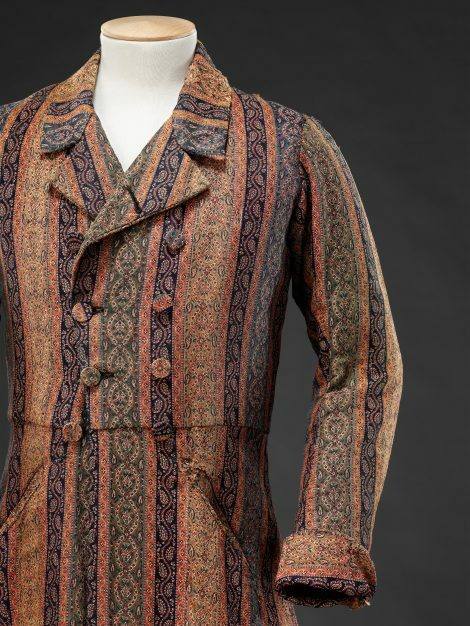 Like contemporary waistcoats they afforded the opportunity to introduce colour and pattern into the increasingly muted character of men’s wardrobes in the mid 19th Century. 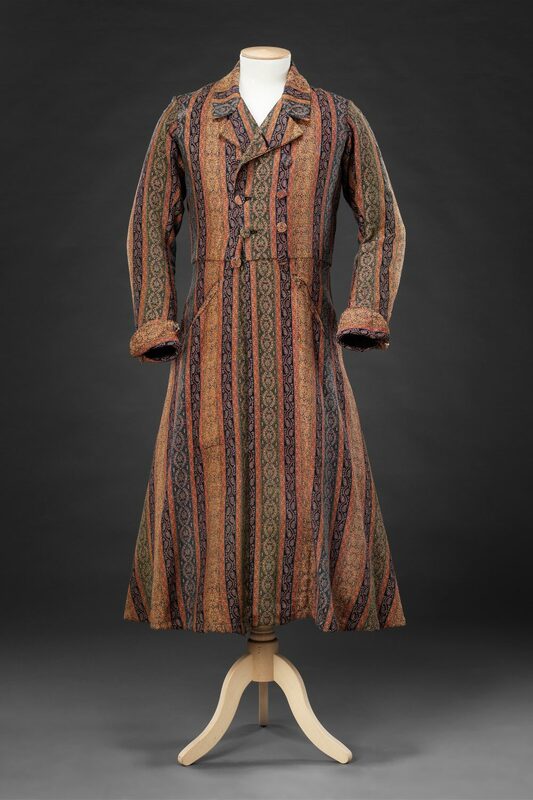 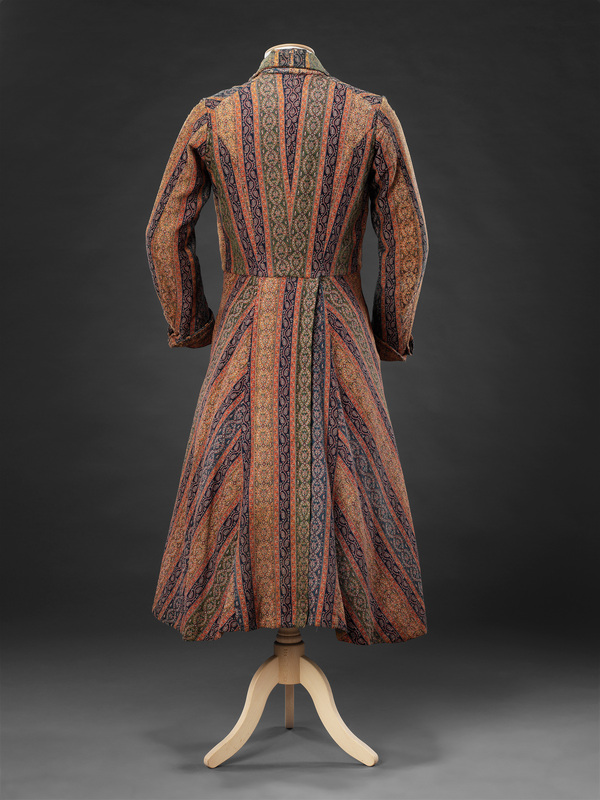 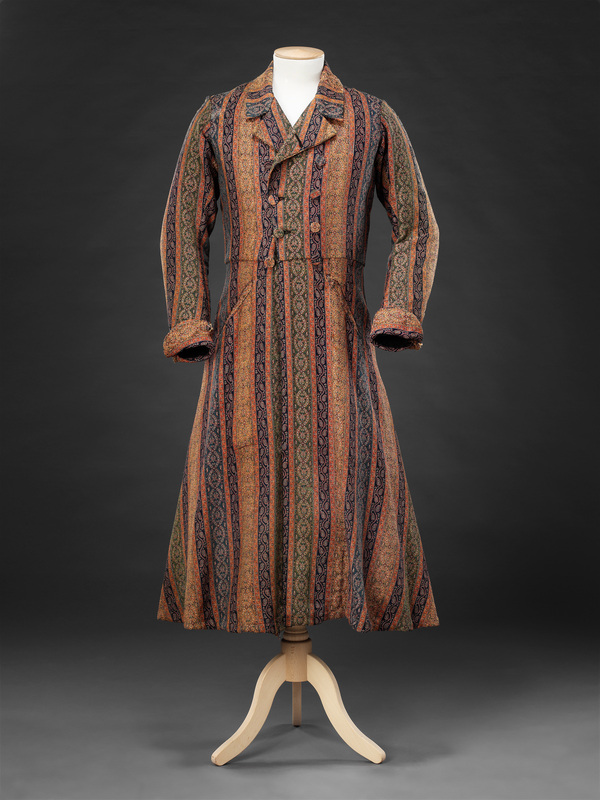 This dressing gown is one of several in the John Bright Collection made of woven wool the colouring and motifs of which relate to women’s ‘paisley’ shawls of the period.